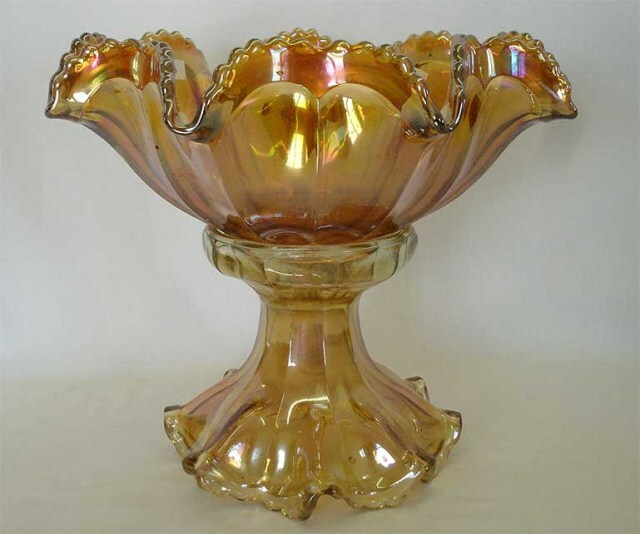 Imperial produced two Flute pattern lines, #393 and #700, calling both of them Colonial pattern lines. 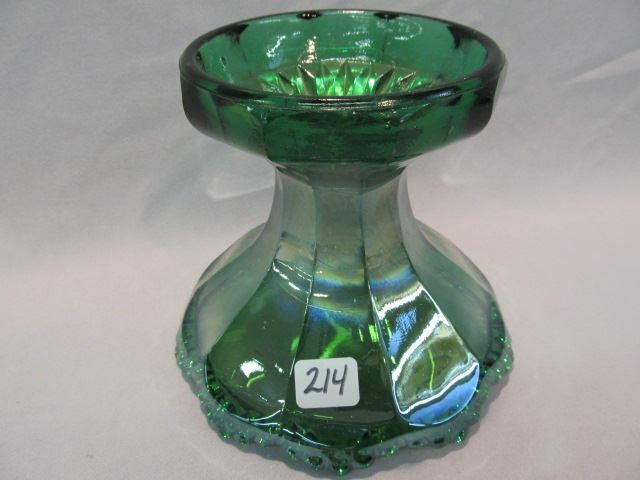 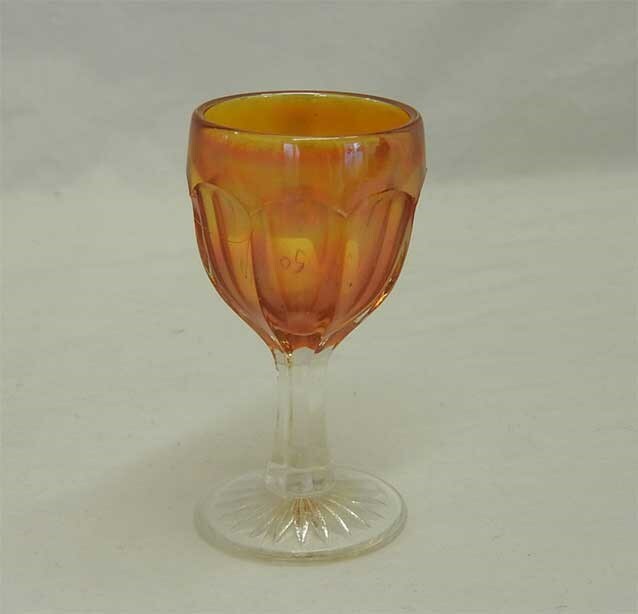 Collectors today call various shapes from both lines Flute, Colonial, or Colonial Variant. 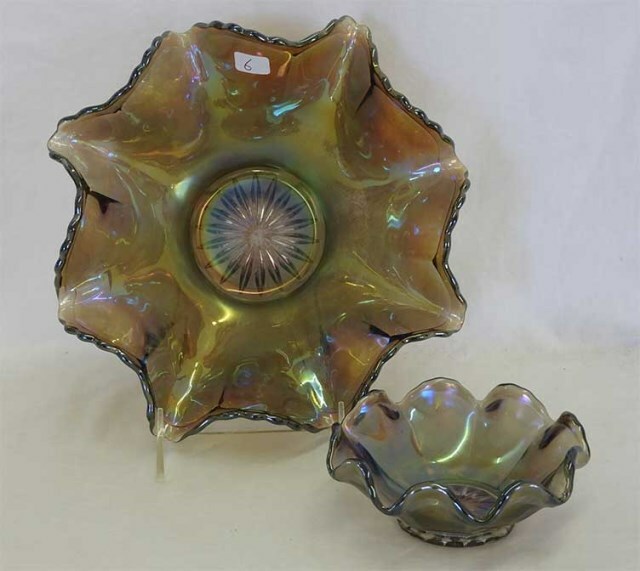 Shown above are two punch sets from the #393 line. 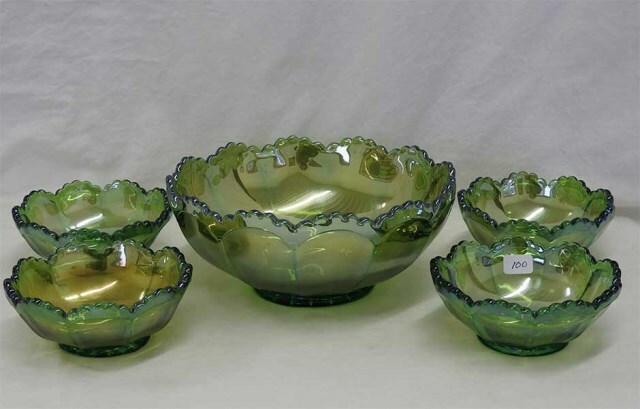 Punch sets, as well as a few other large bowls have a “9” listed after the pattern number–#3939. 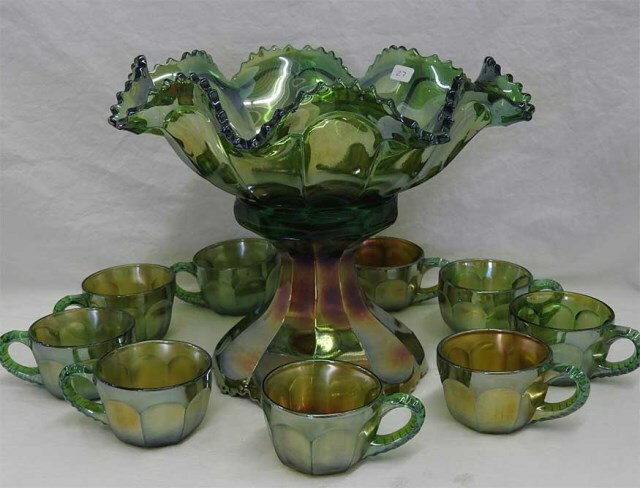 The green set sold in 1994 for $405. 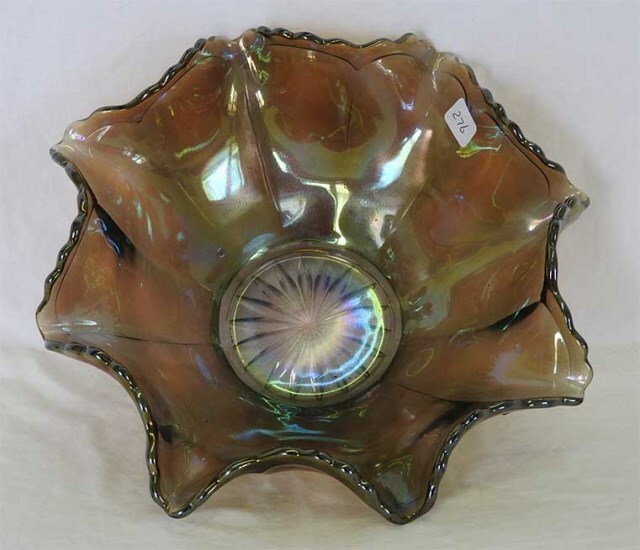 There is very little information about this pattern, other than it's quite rare. 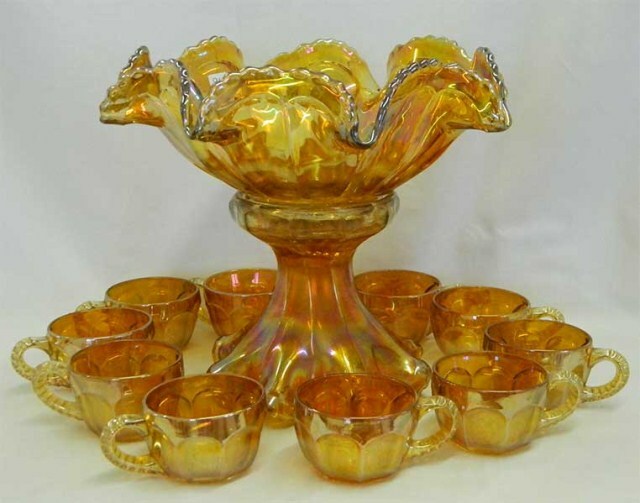 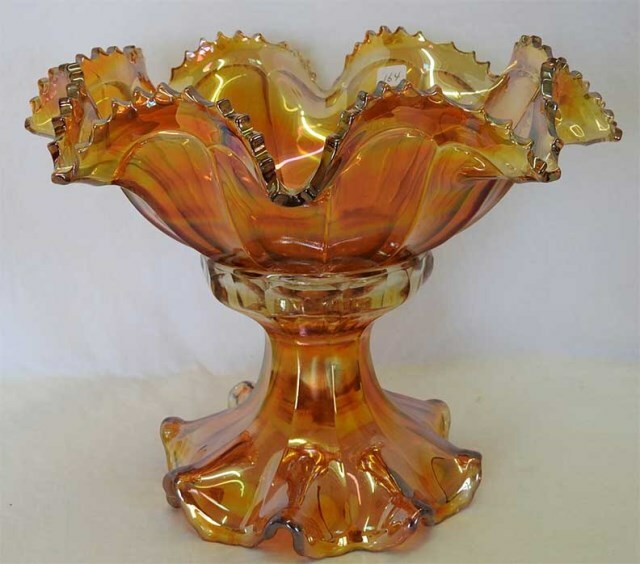 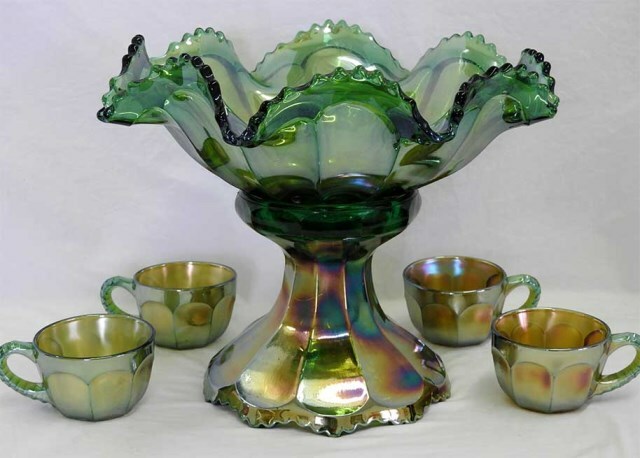 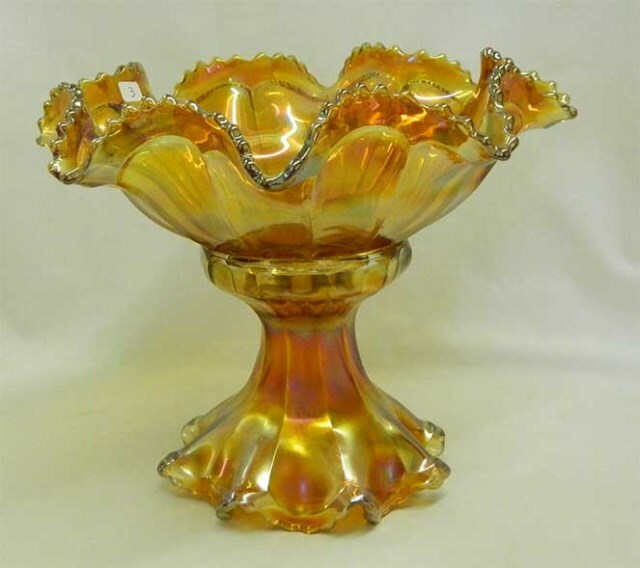 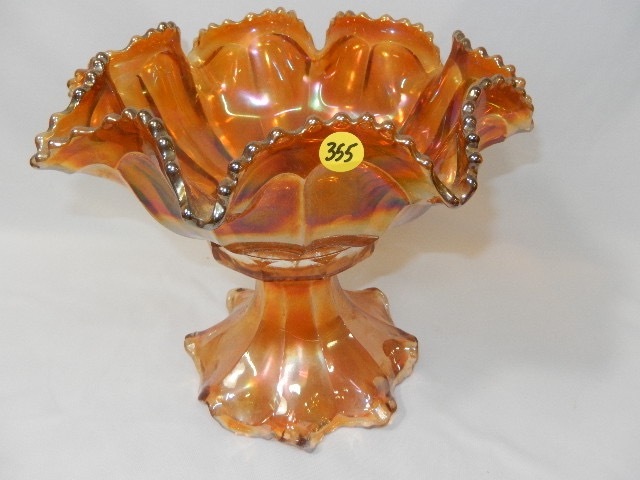 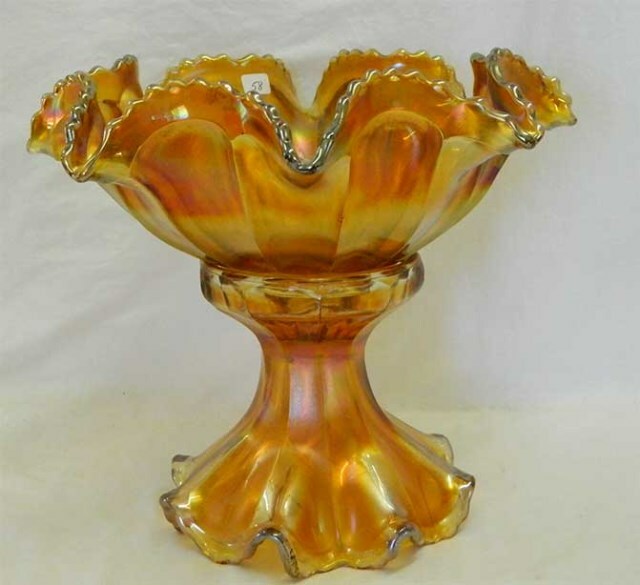 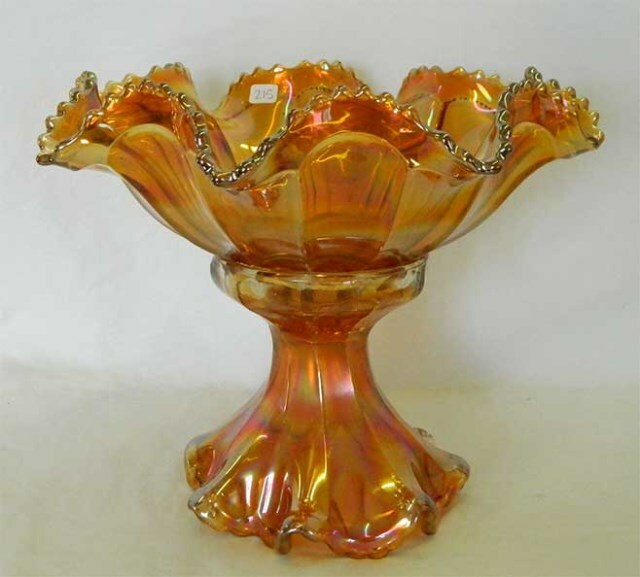 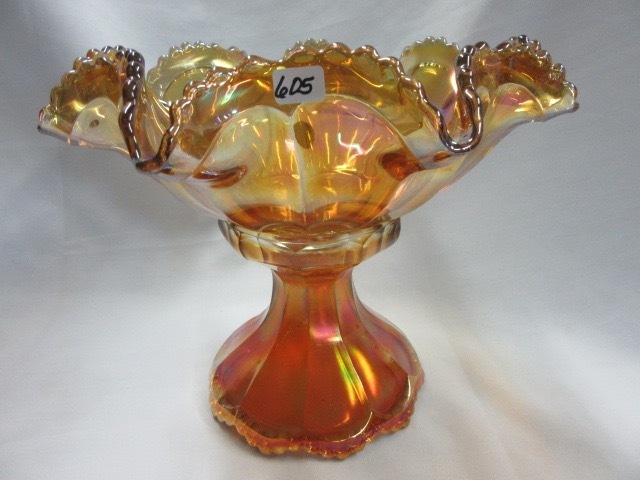 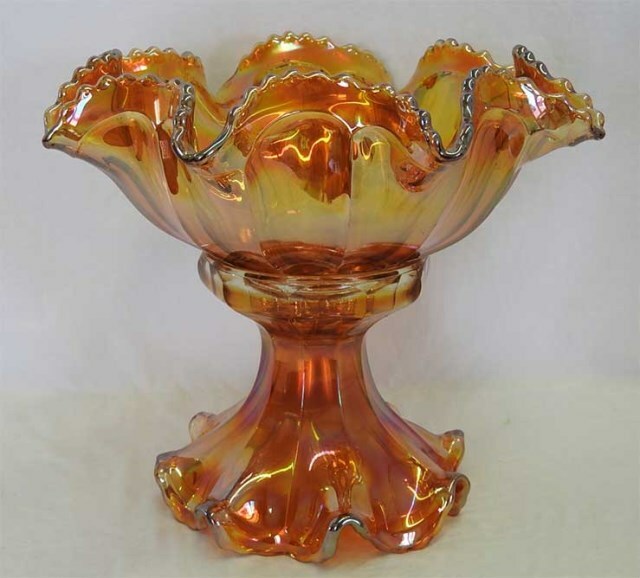 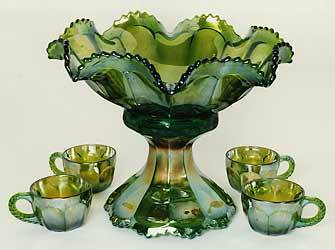 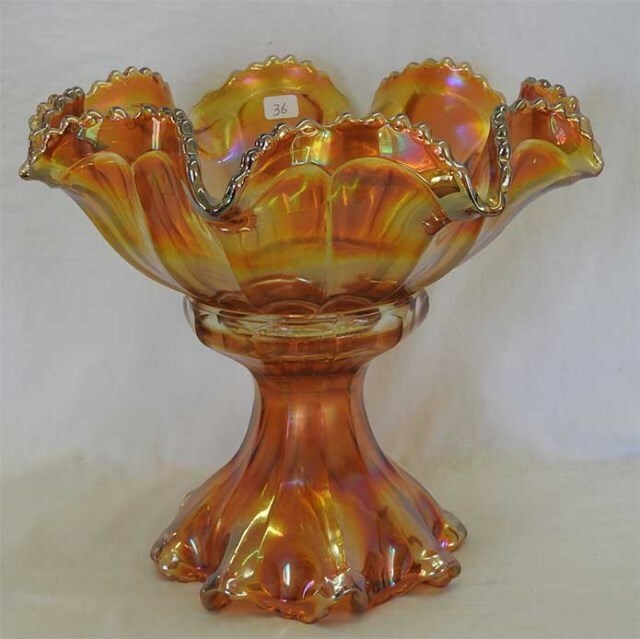 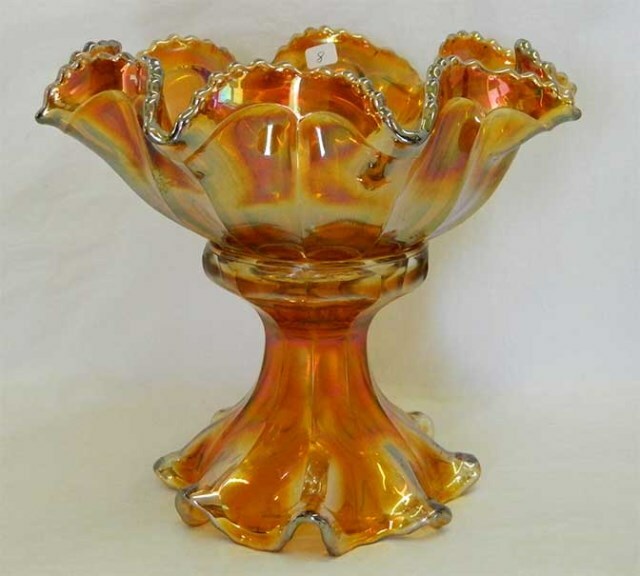 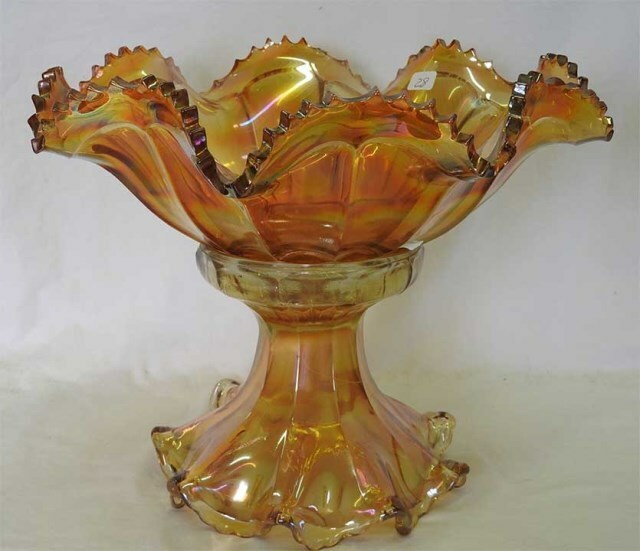 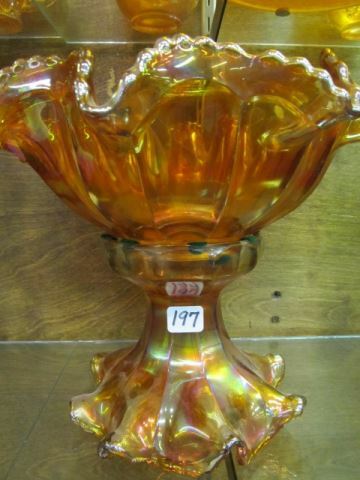 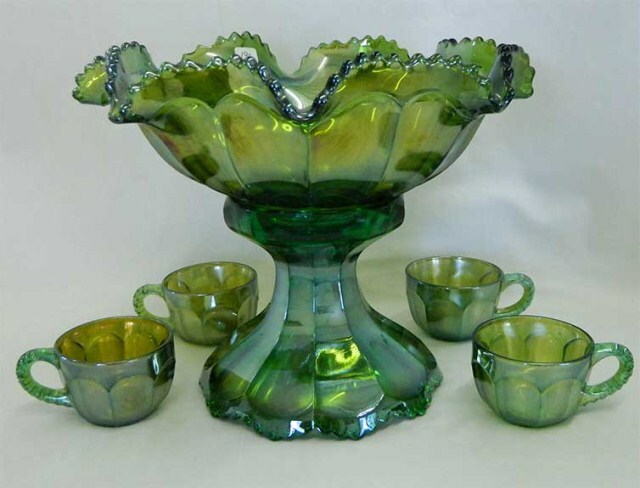 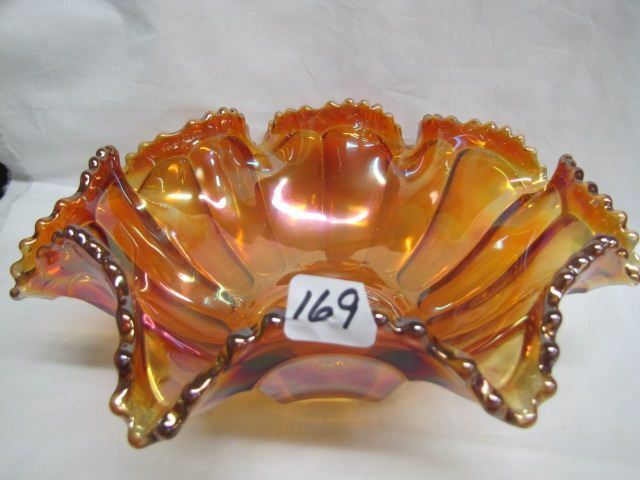 The marigold punch bowl and base sold in 1996 for $105. 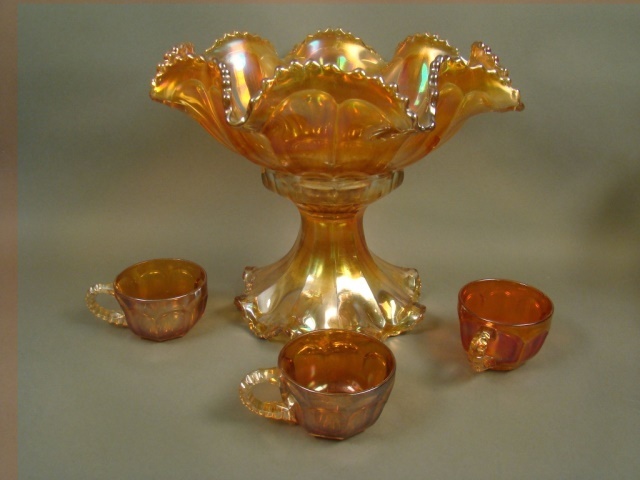 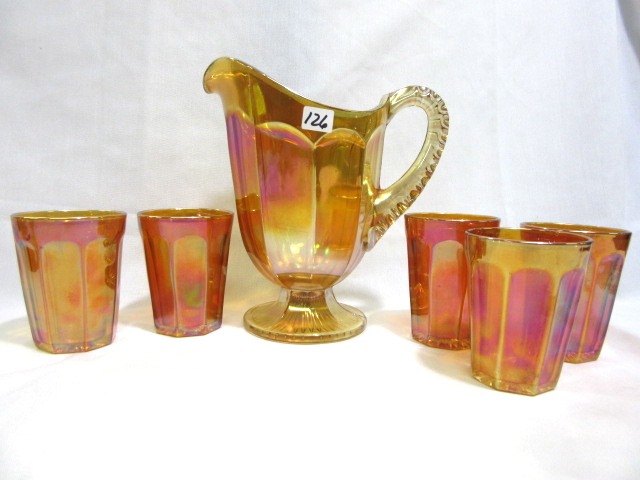 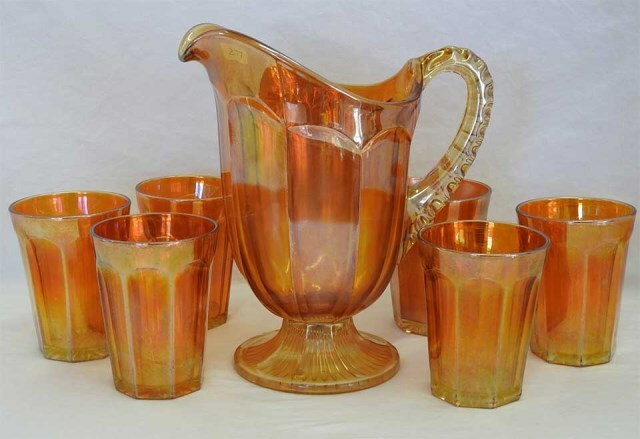 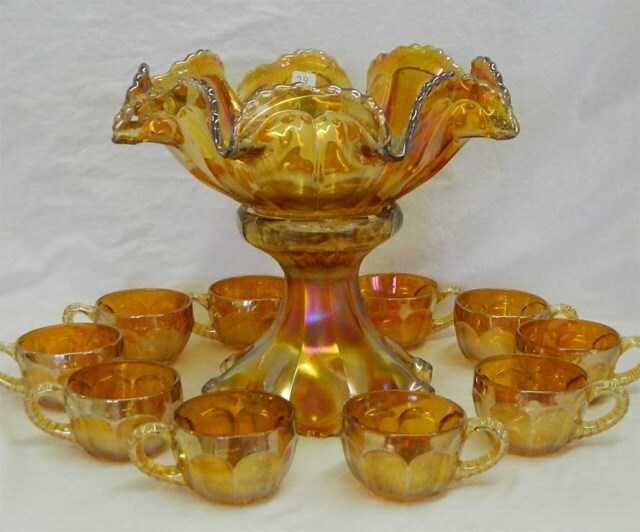 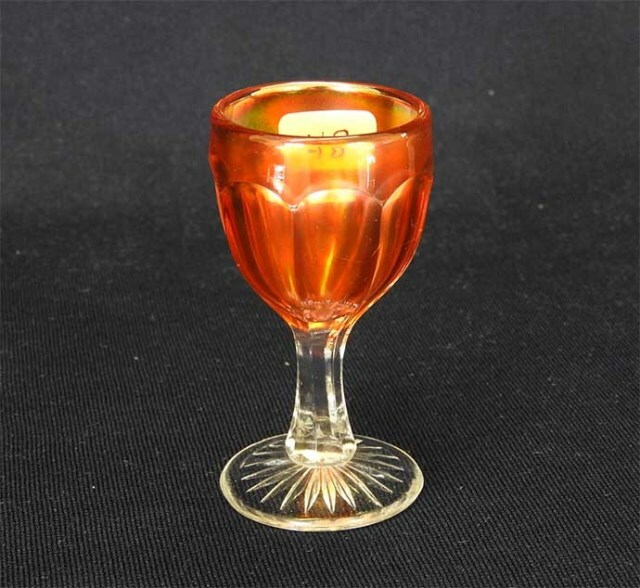 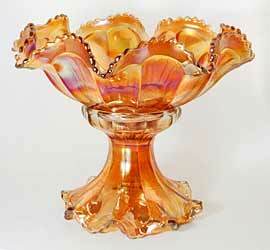 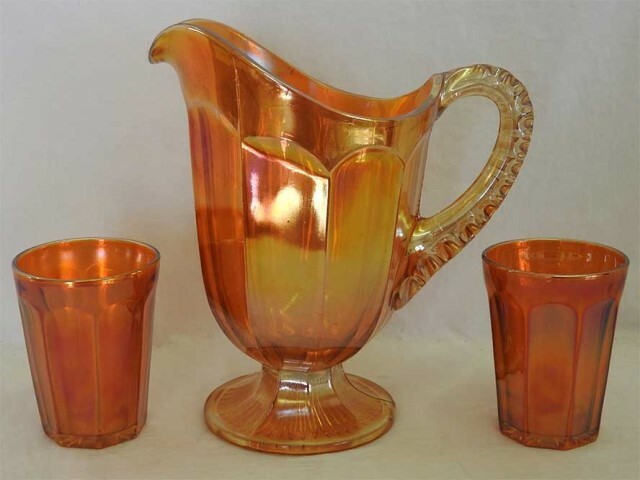 In 2012, a similar marigold punch bowl and base sold for $115 and a 10-piece punch set in marigold sold for $500. 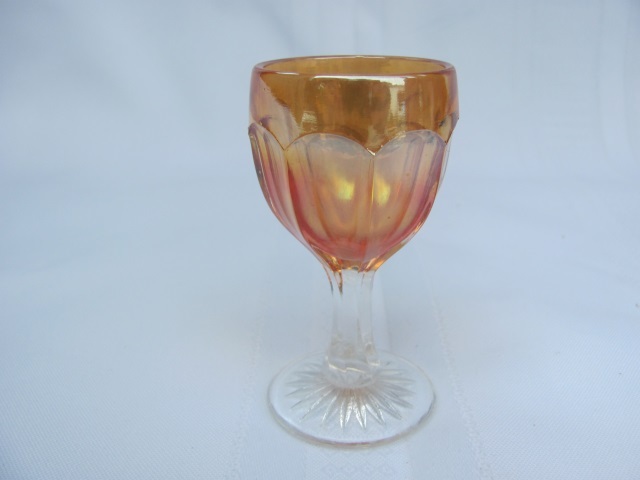 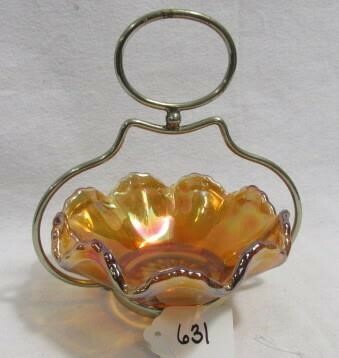 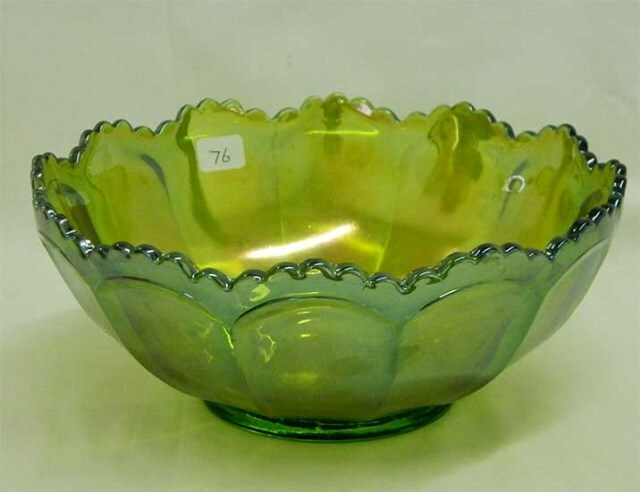 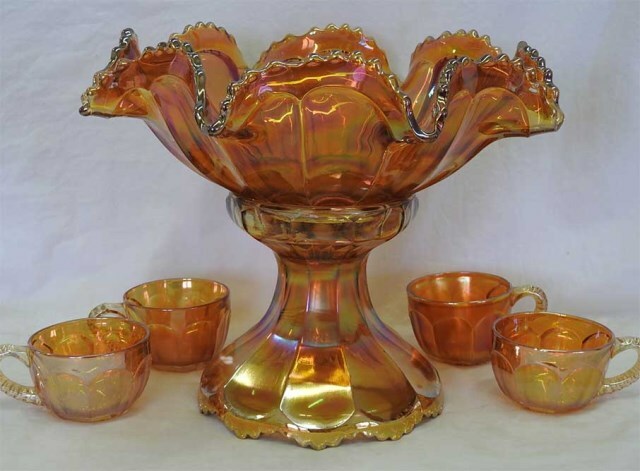 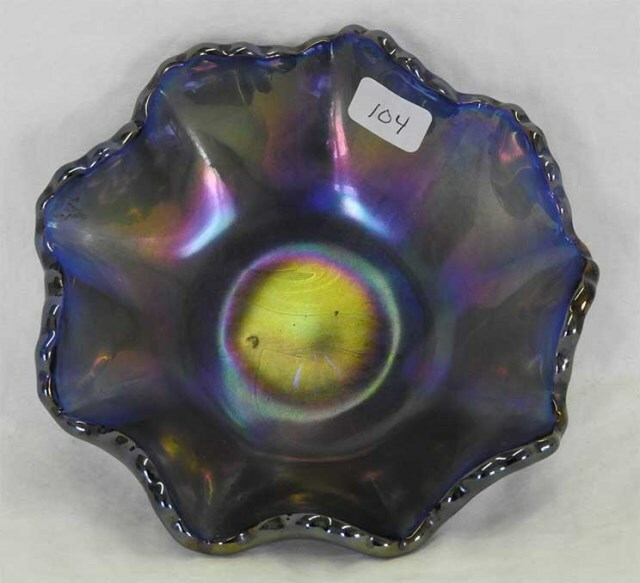 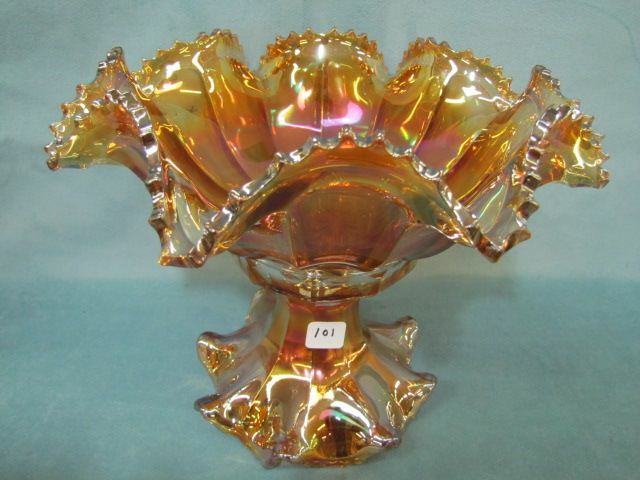 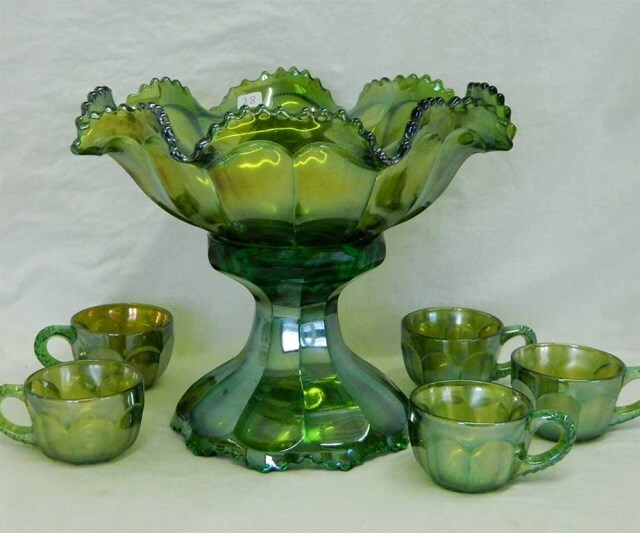 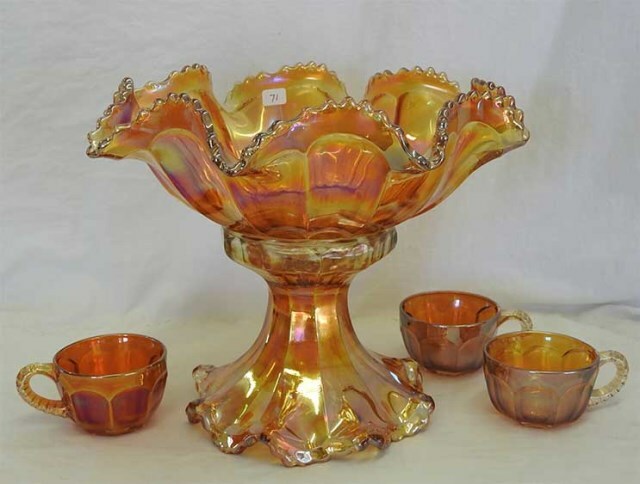 In 2013, a punch bowl and base in marigold sold for $140. 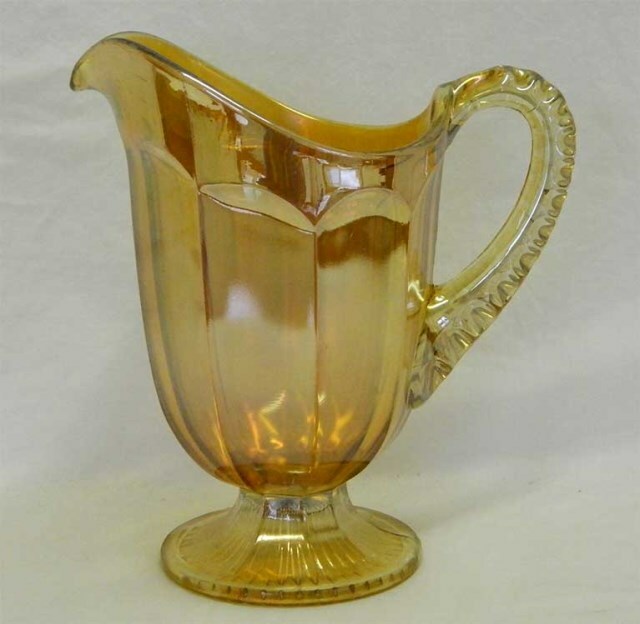 This pitcher is part of the #3939 line but designated #393 1/2 or Colonial Variant. 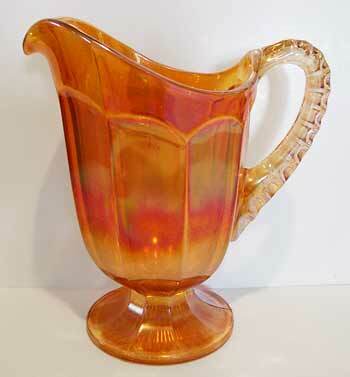 Sauces have also been reported. 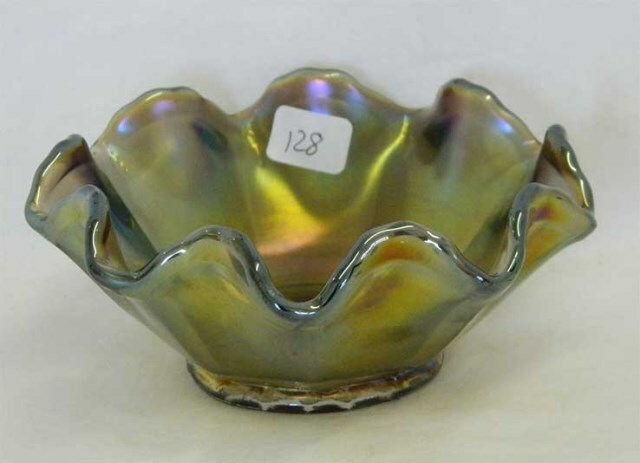 Thanks to Jim Green for this photo.